Bonjour, mes amis! This guide is about six months overdue, but I wanted to give it a lot of attention. I’ve been in love with Paris for as long as I can remember, and have dying to return for almost 10 years since my very first visit when I was 18. Before that trip, I had been dreaming of the city of light since the moment I knew it existed; I took French in high school, studied the life of Gabrielle Chanel, and clipped photos of Parisian fashion and locations out of all my print magazines to put all over the mirrored closet doors of my childhood bedroom, with a large poster of the Eiffel Tower plastered on the wall. 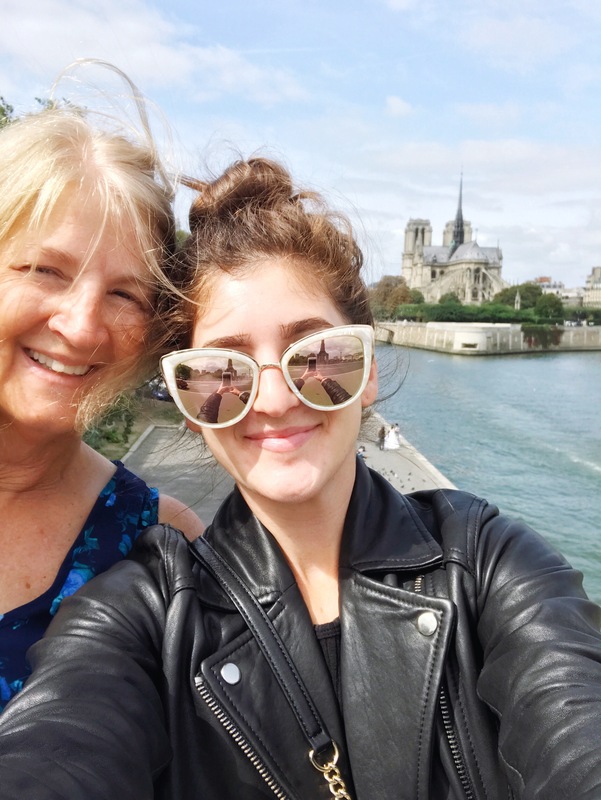 Needless to say, I was more than ecstatic to plan a return trip to what I believe is the most beautiful city in the world — and to share it with my mom, who had never been but had also been dreaming of it (for many more years than I had). Seeing her see the city for the first time put a magical feeling in my heart. 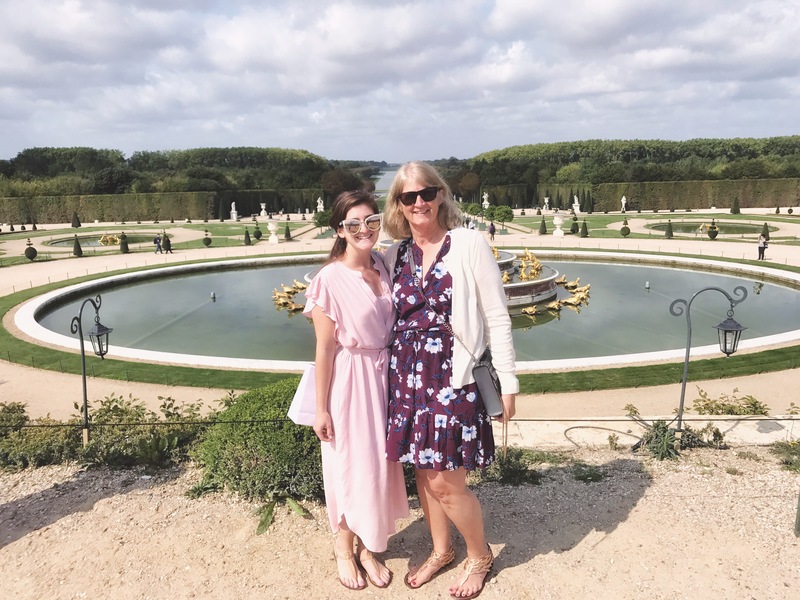 So here’s the deal: I’m definitely not a tour expert (though that would certainly be a goal of mine), but having been a couple times now I feel like I have some solid recommendations, and I wanted to share the stuff that we did and loved. There’s a lot of ground to cover — and this is just for a three or four day trip! — so I’m breaking it up into activities (same as with London and Rome) so you can plan accordingly. Choose your adventure! We took Eurostar chunnel from London into Paris, and bought 3-day and 2-day Paris passes for the Metro/RER public transit system. This was simple, effective, and got us everywhere we needed to be that wasn’t walkable. We took one or two Ubers, and honestly regretted both. You truly don’t need them. 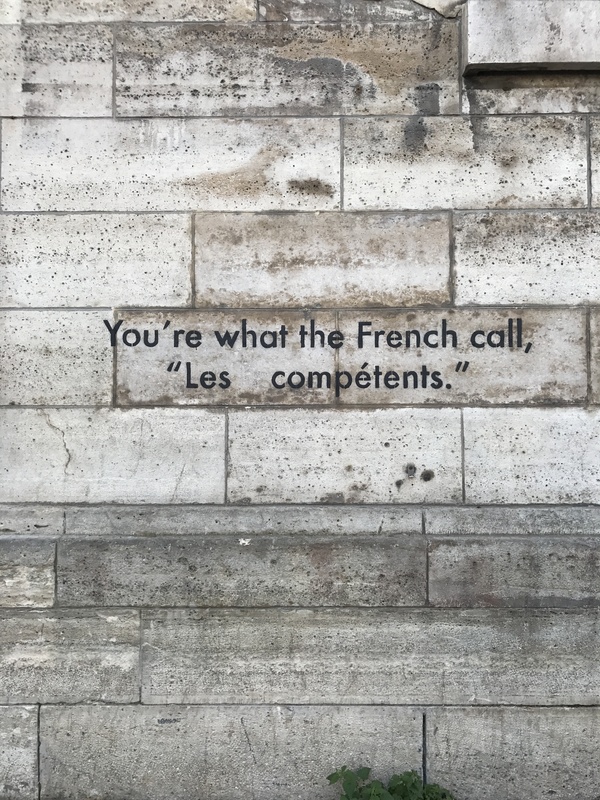 The people/culture: I feel like there’s a stigma around French people being rude, but I’ve yet to encounter this during my time in Paris. 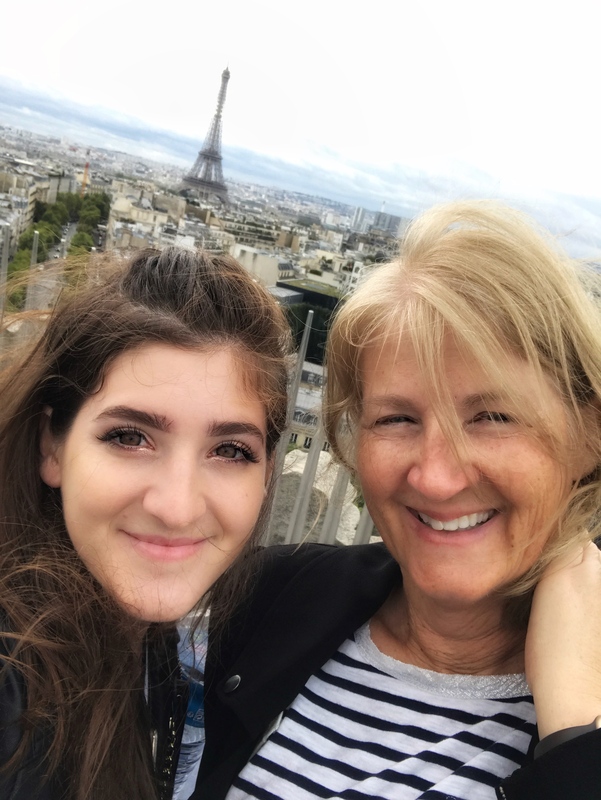 I’ve found Parisians to be warm, kind, and just as friendly as Americans — sometimes more so! With the exception of our server at Chez Julien, which we’ll get to later. The language: If you don’t speak any French, I would HIGHLY recommend brushing up ever so slightly with some online tutorials, a pocket guide, or a friend who can tutor you with a few phrases. This really helps, trust me. Not just for politeness, but for logistics … and for really getting into the French experience. It’ll make a lot of stuff easier, more interesting, and more fun. Because it’s a romance language, you’ll notice there are tons of words and phrases that are similar to English words, if not exactly the same. It’s easier than you’d think! 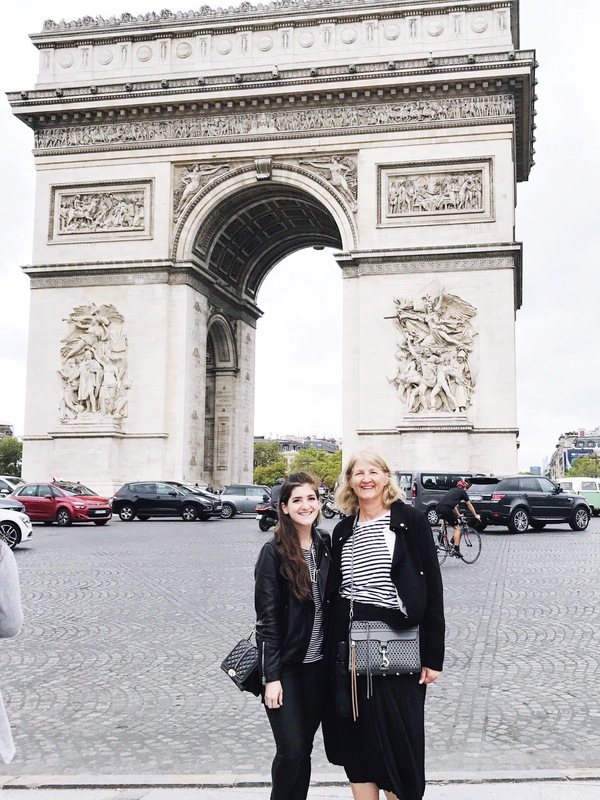 While in Paris we didn’t really get breakfast or brunch — we opted for pain au chocolat and café or street crêpes on the go to make more time for sightseeing! 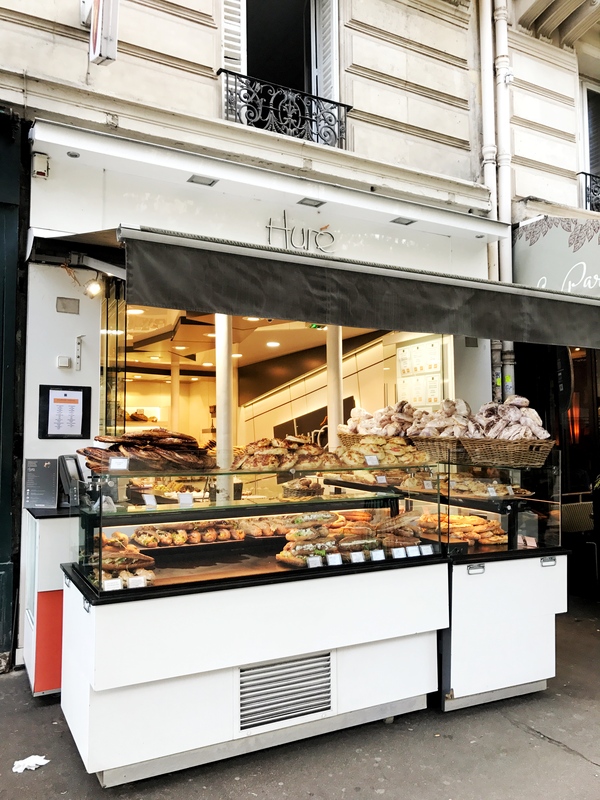 There were two places we stopped for that I took note of — Huré, where we got pain au chocolat and coffee after mass at le Notre Dame (unreal pastries! ), and Relais du Pont Neuf for crêpes. 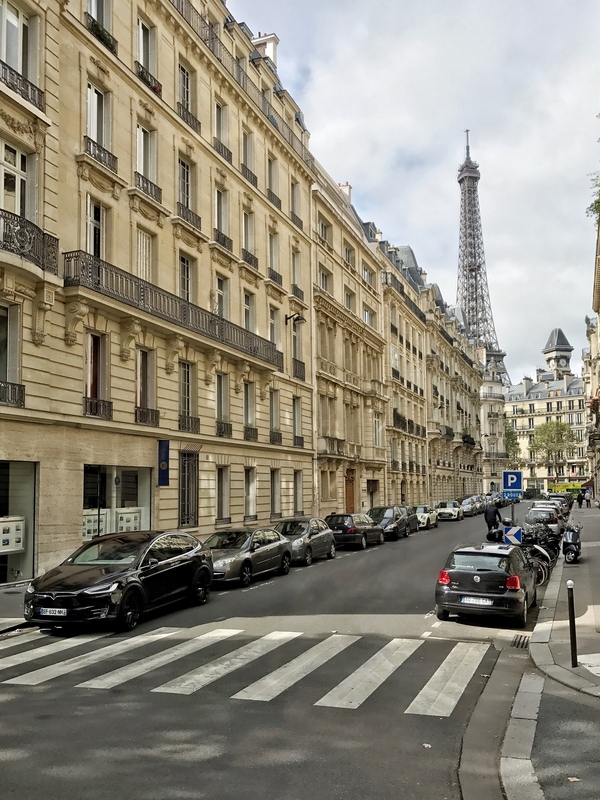 Re: the latter — between Place de l’École and Rue de l’Amiral de Coligny on Quai du Louvre (the street that runs along the Seine on the north side), there are a half dozen or so little cafés. 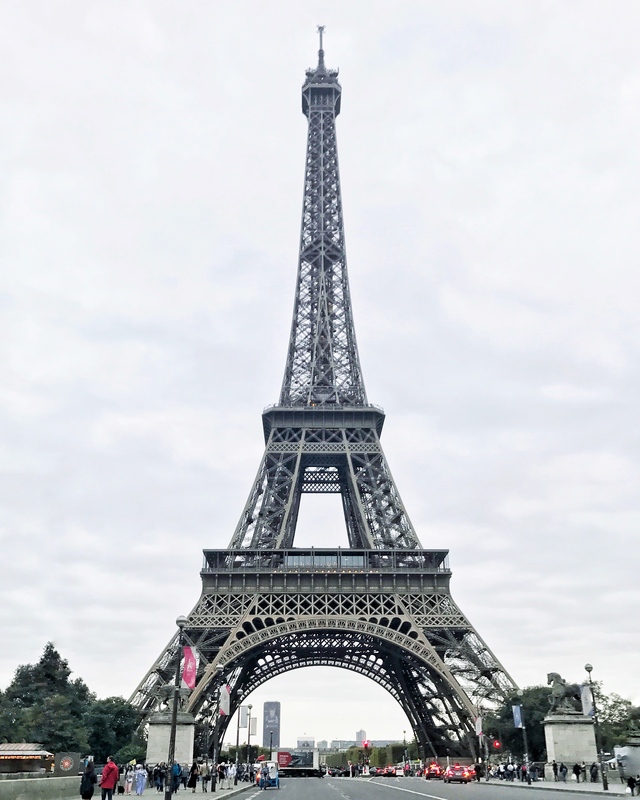 Just a quick peek on google and yelp shows that most of them are well-rated and each have a similar offering, so if you’re looking to grab a crêpe along the Seine, this is a great spot! To be honest, Relais didn’t have the most extraordinary crêpes (in fact, I recall the chocolat chaud was flat out not good), HOWEVER we weren’t disappointed at all, and were grateful that the sweet restaurant owner opened early for us so we could have a quick, early breakfast before sightseeing. Of note: Huré had the best coffee we had while in Paris. The coffee overall in France was meh compared to Italy’s perfection in the cappuccino department, but Hûré delivered! Y’all, this is an absolute must. While you’re shopping (window shopping?) 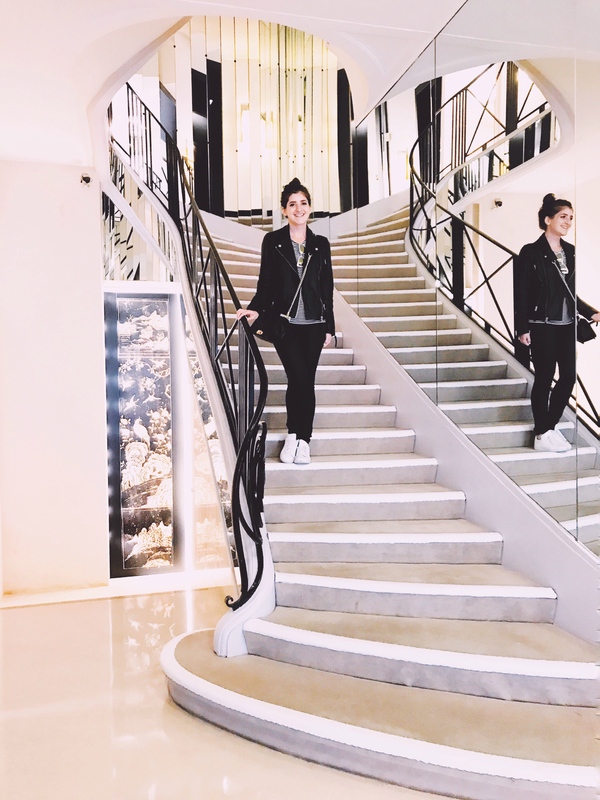 at Louis Vuitton and Chanel, stop for lunch at this exquisite Parisian treasure. 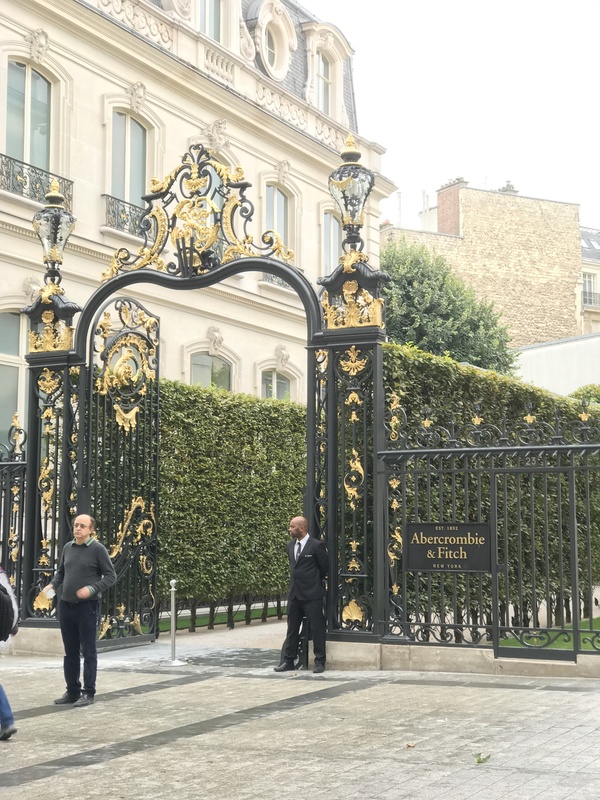 In fact, you don’t even need to be shopping on Champs Élysées… you should totally make a trip just for this; I promise it’s worth it. Whether you dine in the outdoor terrace, in the tea room, or in the bar (which is très cool, btw), each experience is unique and incredible. And it’s not just tea and pastries (though each of those are magnificent, and you HAVE to get macarons while you’re there because it’s the law) — you can get little slider burgers and fries, sandwiches, salads, and more. TBH I’m not the BIGGEST fan of Champs Élysées (does that make me not chic?? )… just a lot of expensive shops… and it kind of feels like the Jersey Shore of Paris??? But the Ladurée there is incredible and 1000% worth a trip over there. 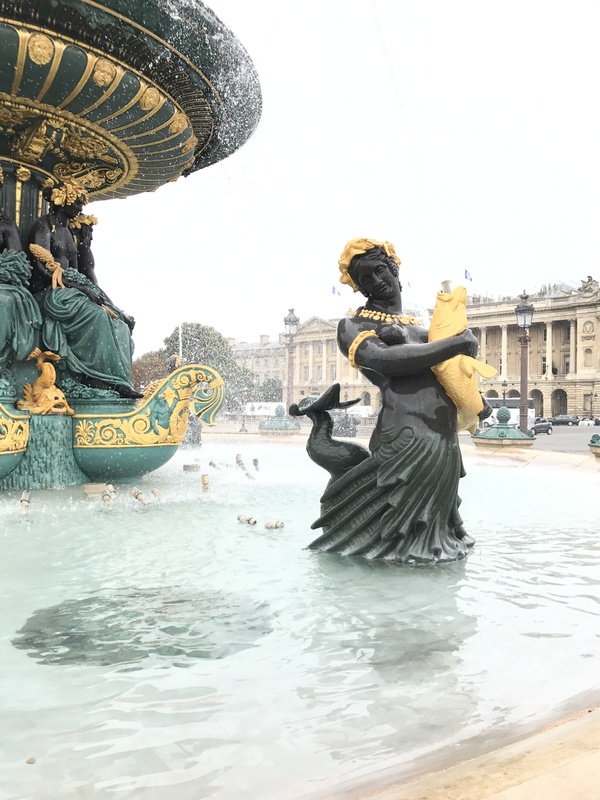 Champs Elysées in a nutshell…. yes, this is an Abercrombie & Fitch entrance. For a more intimate tea experience, I’d recommend also visiting this Ladurée location. We founded it to be quieter and more peaceful for afternoon tea (it totally depends on the energy you’re going for!). 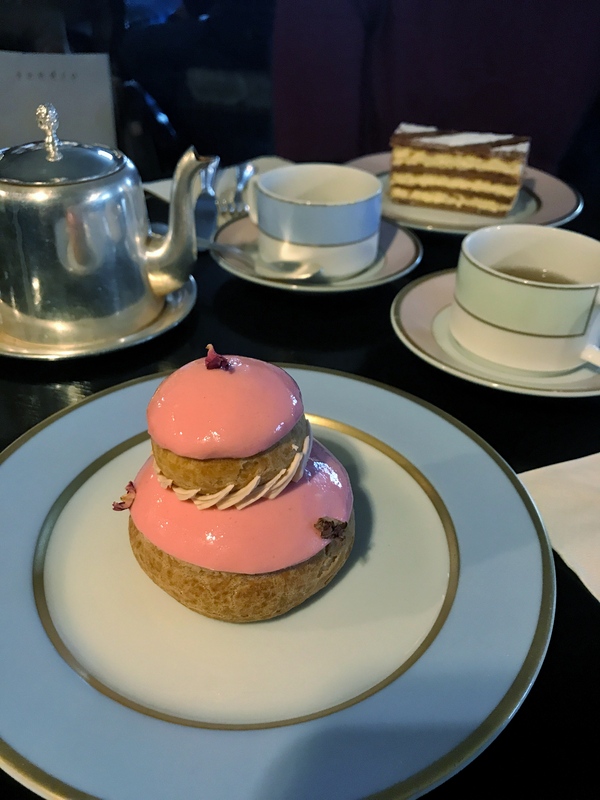 Do NOT skip the Religieuse Rose Fraise —a strawberry rose cream puff dessert that’ll make you cry (absolutely unreal) — and please for both our sakes promise me you’ll get the Laudrée signature tea (“elegant combination of Chinese black tea, citrus fruits, floral notes, light spices and vanilla”). THIS IS THE RELIGIEUSE ROSE FRAISE!!! 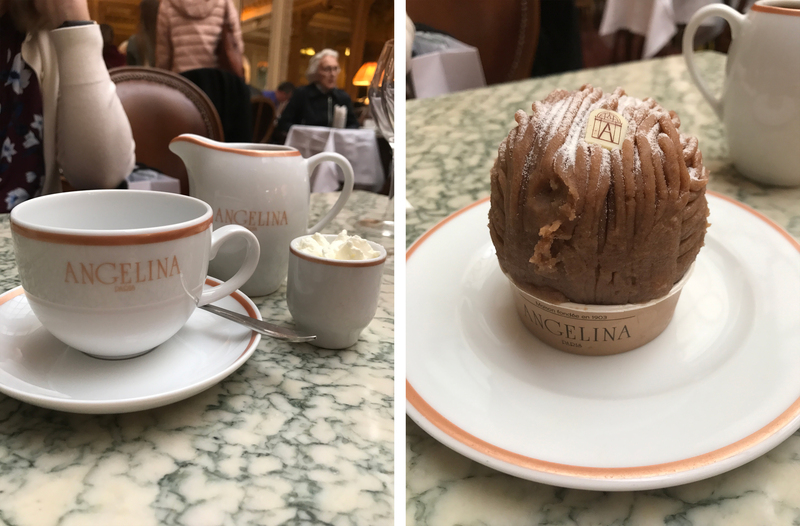 An exceptionally kind woman at the Air France office was overjoyed that I used French, and ended up recommending this MUST VISIT, iconic restaurant to get “Le même chocolat chaud Marie Antoinette a bu” (the same hot cocoa Marie Antoinette used to drink) and the legendary Mont-Blanc gâteau. I know what you’re thinking: “you said lunch a**h***, and here you are again talking about dessert and hot chocolate.” OK, first of all, rude. Second, I WAS GETTING THERE. We had truffle ravioli and it was honestly so fantastic but I couldn’t get over the fact that I was drinking the SAME DRINKING CHOCOLATE AS MARIE FREAKIN ANTOINETTE. Anyway. While the three aforementioned options are each sit-down and pretty darn pricey, PB offers a casual, on-the-go (or dine-in, if you want to grab a seat), inexpensive lunch option and there are two locations! We ate at the one near the Châtelet metro station and grabbed an Orangina, quiche lorraine, and a salade des tomates. 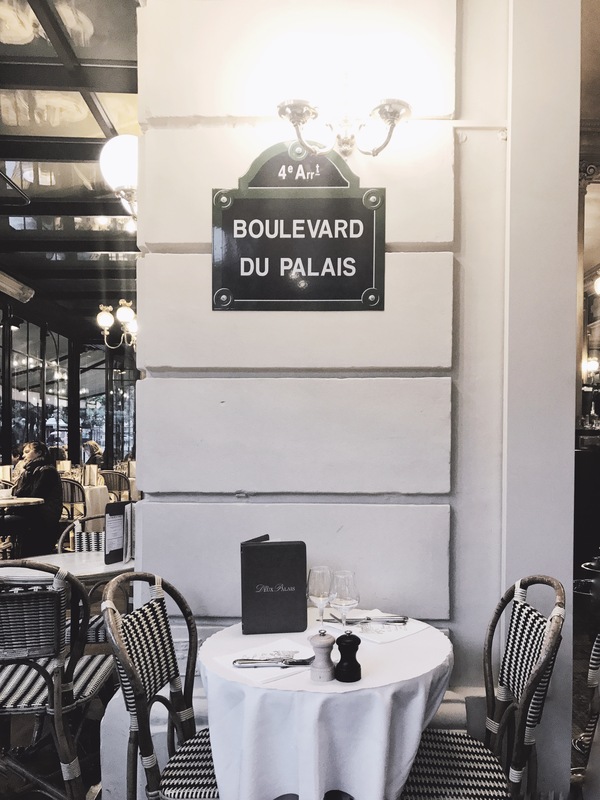 Eating at a Parisian boulangerie feels like a pretty authentic experience, and it doesn’t have to break the bank. I’ll get more into the details of this under the activities section, as this is less about the food and more about the overall experience but just know — this is a trip highlight! Heard this place had a fantastic brunch, lunch, AND dinner option, and it happened to fit right into a dinner slot in our itinerary — I’m so glad it did! With a cozy, classic Parisian ambiance in a stylish neighborhood, this place had great overall customer service (even though we were like 72% sure our waiter hated us for reasons that are still unknown) — we got in sans reservation and the manager brought us blankets to wear on the chilly patio, so it ended up being quite comfortable. Cool night air, sweet views, and a cozy blanket while we enjoyed a fantastic Chateaubriand and truffle risotto. This would be an awesome romantic dinner spot if you’re there with your SO. 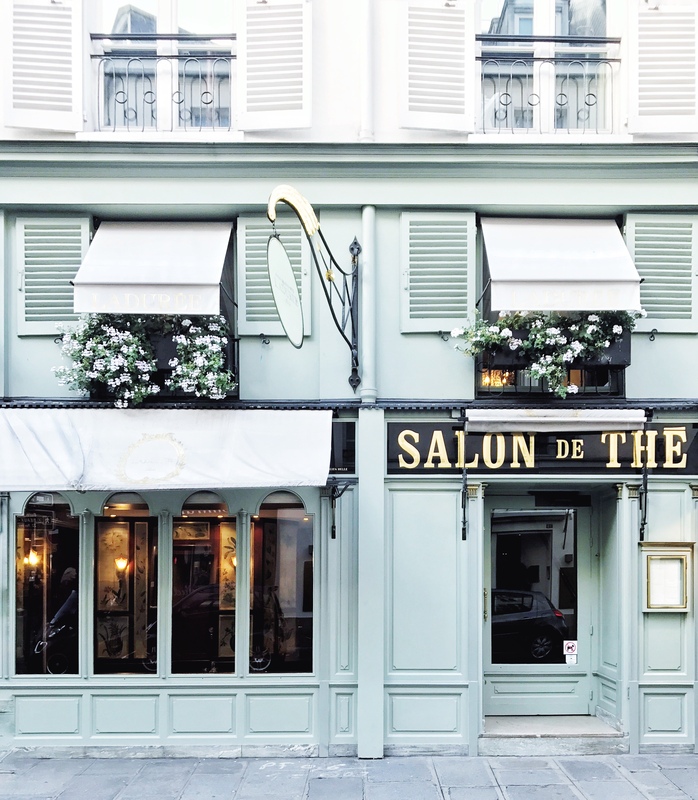 While wandering around Ile de la Cité, stop for a glass of wine and some cheese (or salmon or salad) at this charming brasserie with a choice corner spot across from the Palais de la Cité and Palais du Justice (Conciergerie) — get it? Two palaces! Anyway. I will say, this isn’t like a five star meal spot, but a conveniently-located, lovely-atmosphered (not a word just go with it), moderately-priced dinner spot. We could’ve done more research on where to get dinner but we relished in the idea of wandering around and just stopping in somewhere with a nice view. I cannot emphasize enough. SERIOUSLY. 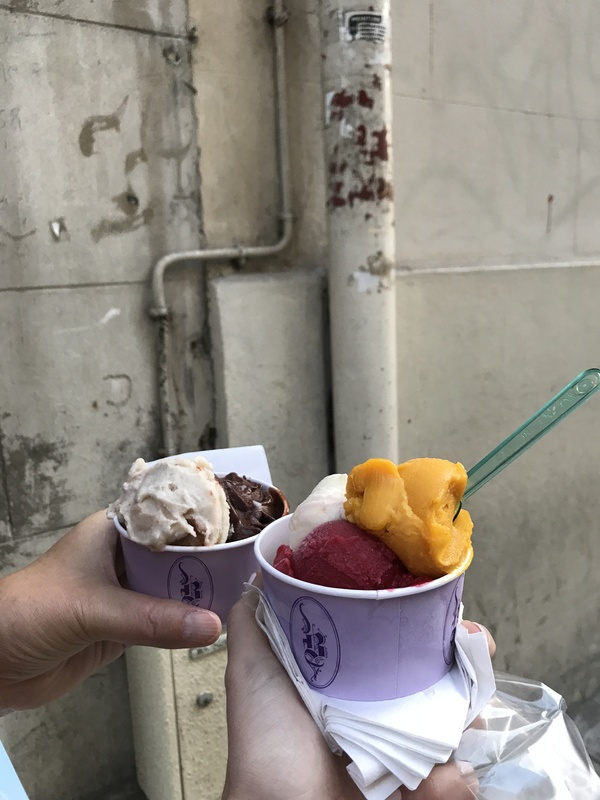 I dreamt about, pined for, and wept over Berthillon for damn near a decade so when we put our luggage down in our Airbnb I essentially grabbed my mom’s wrist and dragged her sprinting back to my favorite ice cream in the world. Here’s the deal: there is one main location on Île Saint-Louis, but a ton of the restaurants and cafés nearby also carry it. Different locations carry different flavors. You have to go to the original location as a rite of passage, but my favorite spot is actually a cart near Pont Neuf. I’ll get to that in the “Activities” section. You can’t go wrong with any of the flavors… trust me on that. we literally went twice the first day. There is nothing quite as magical as this moment. Grab yourself a baguette and some snacks (tip: cheese), maybe a bottle of wine and some cups, and a blanket. 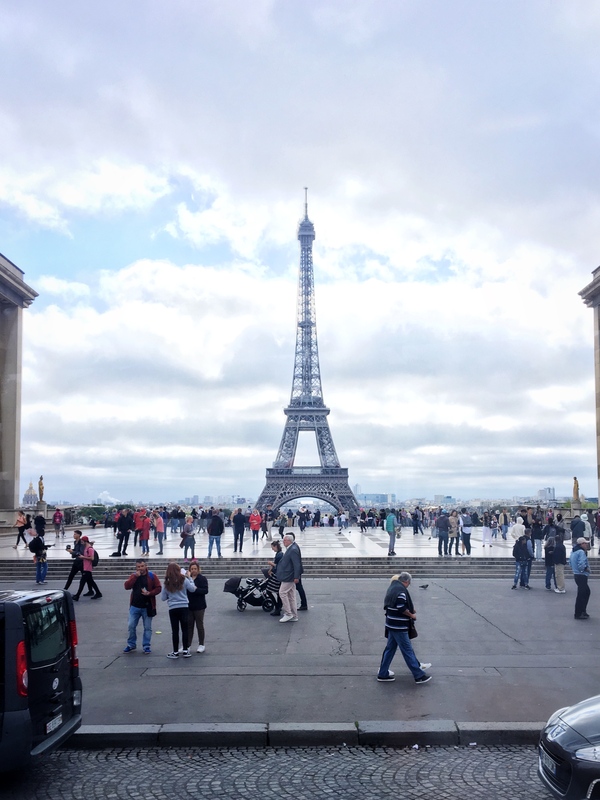 Go over to Trocadero just before dusk. Crack the bottle, break the bread, and wait for the Eiffel Tower to light up in sparkles. Seriously, whatever you do, don’t miss this spectacular moment — especially if it’s your first time in Paris. 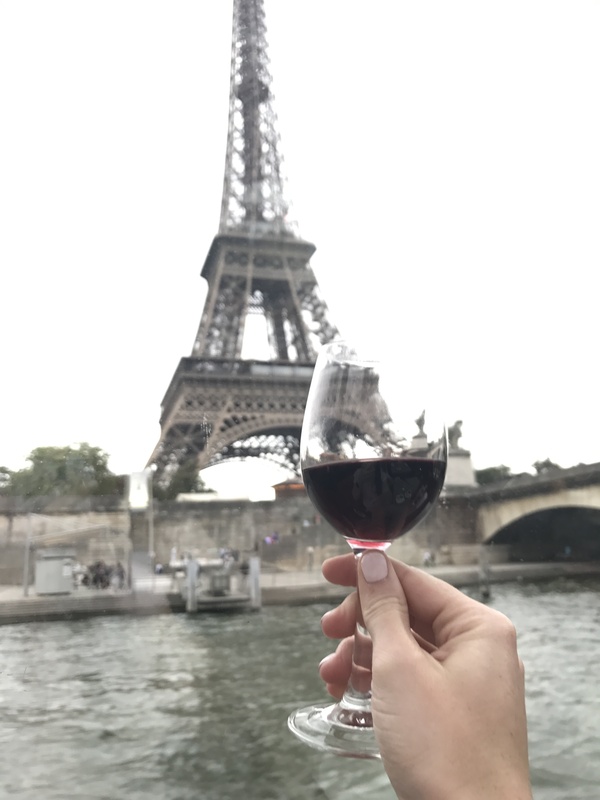 The next time I do this, I’ll watch from the Trocadero restaurant Café de l’Homme, which has the tower views but with table service! I’d highly recommend doing this first thing in the AM when it opens to avoid lines! Plus, that morning light over all of Paris? Swoon. 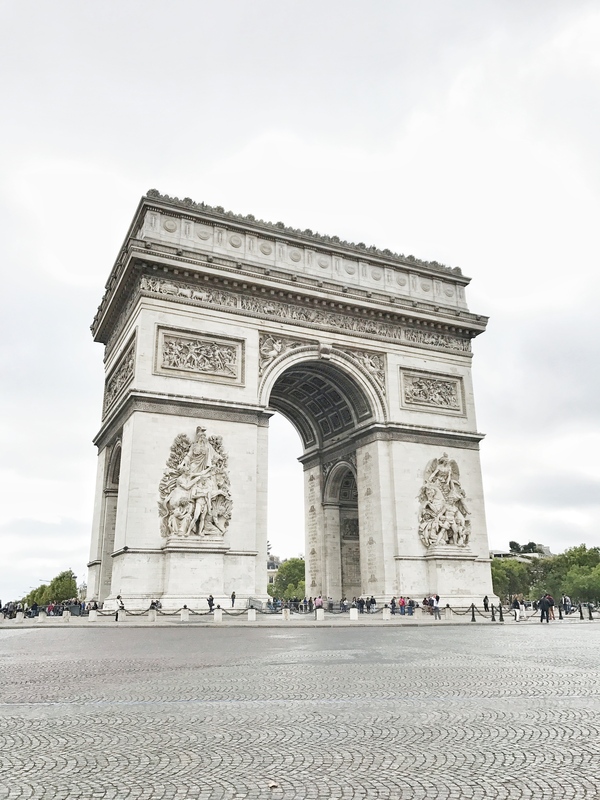 The L’Arc de Triomphe experience is quintessentially Parisian and an excellent sightseeing activity — time it well and it will be peaceful and you’ll get great photos! 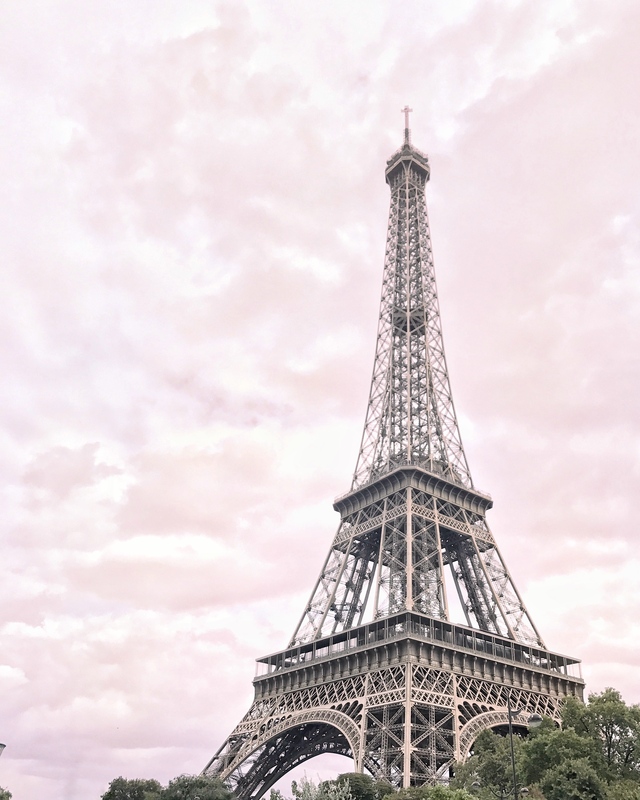 Prepare to climb like 847,246 steps, though — it’s leg day every day in France. 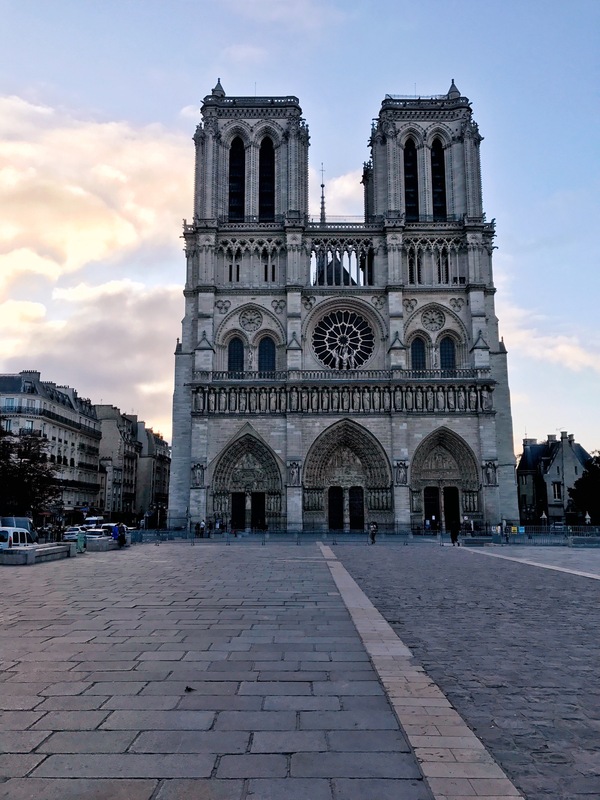 Yes, you can visit the Notre Dame as a museum, but going to an actual mass is like putting yourself in a time capsule and really immersing yourself in the history and culture. You wouldn’t go to a restaurant just to look the menu, right? 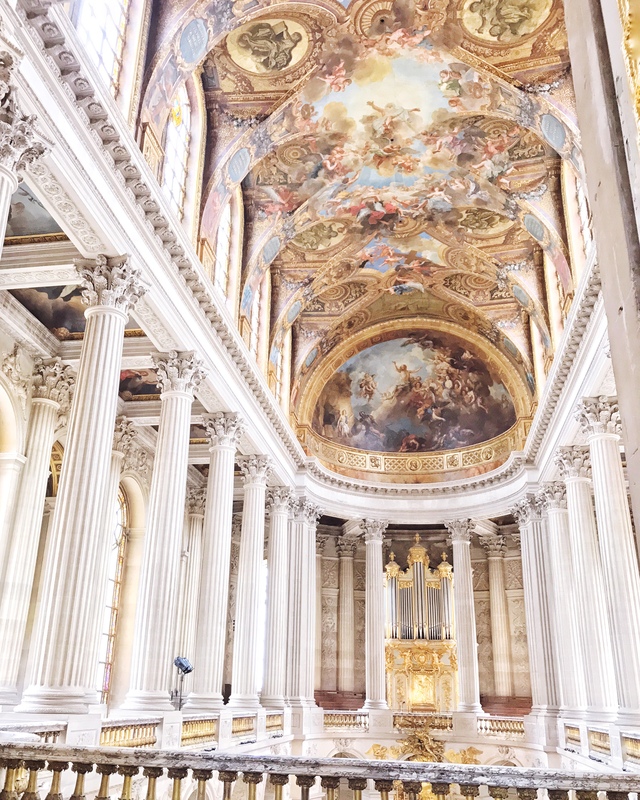 Go to church in one of the most historic cathedrals in the world, hear the mass spoken in French, and entrench yourself in a beautiful, spiritual, locals-only-style experience. It’s pretty surreal. As mentioned, this was another major trip highlight. This is sort of becoming a “From how many angles can we see the Eiffel Tower” post and I’m OK with that. 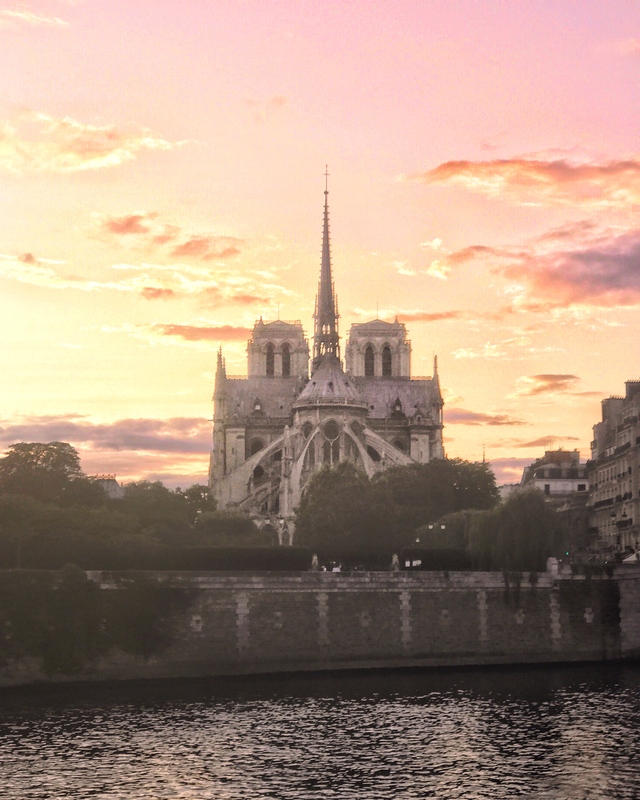 See it from a boat on the Seine as you cruise along at dusk just as it lights up. Watch the sunset while you drink bottomless wine or champagne and dine on a pretty nice meal (belles crevettes aka “beautiful shrimps” was great lol). This is a splurge for certain (70 to 85 euros pp), but IMO worth every penny. Know this now: despite the price, it’s not going to be the best meal you eat in Paris in terms of food alone. The food IS good, you’ll enjoy it, but adjust your expectations now. 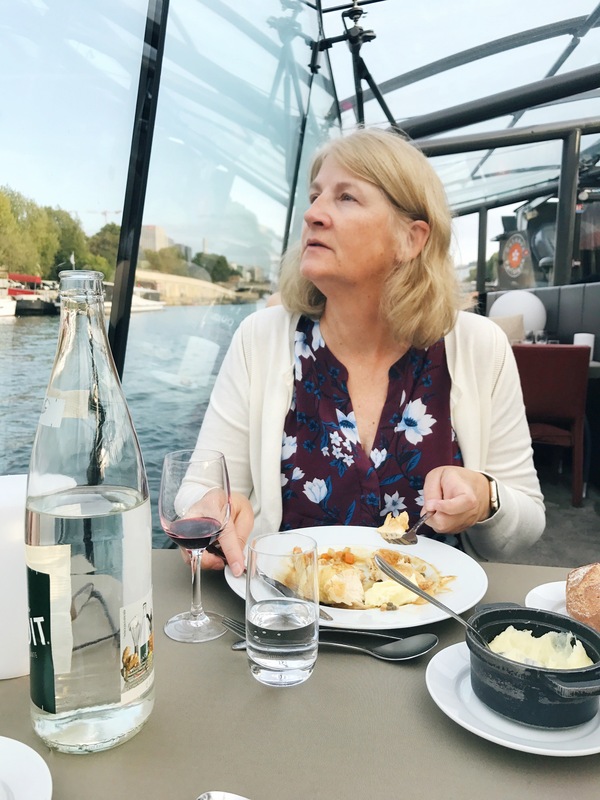 This is about the overall experience, and how lovely it is to eat a fancy dinner on a boat on a river in Paris. Cool? Cool. Now that you know that, get the raspberry ice cream dessert thing. This is a three-course situation where you pick all three at the beginning of the cruise so you have to order with conviction. From there, sit back, relax, snap some photos, and soak it all in with a loved one. I recommended this to my friend Frank who went with his mom, and he said it was the highlight of their Paris trip. You’ve gotta try it. 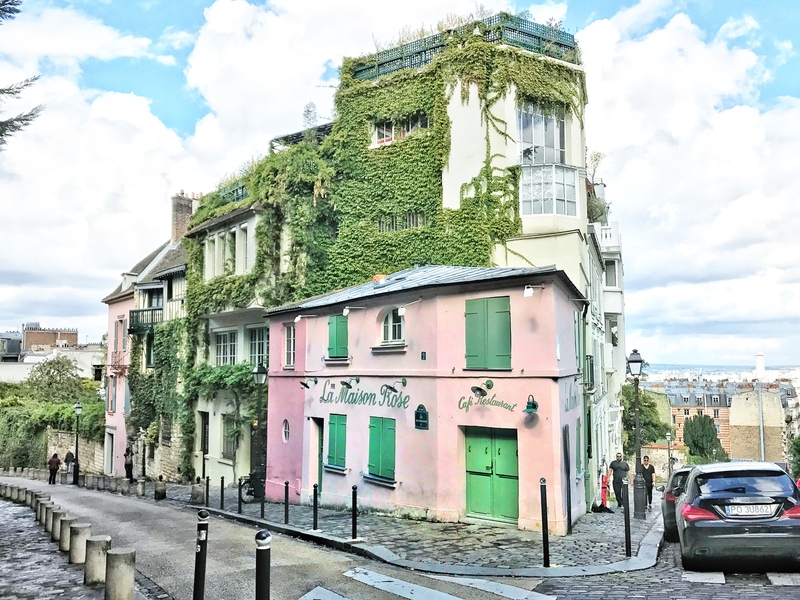 Spend a half day or longer in the 18e arrondissement of Montmartre. 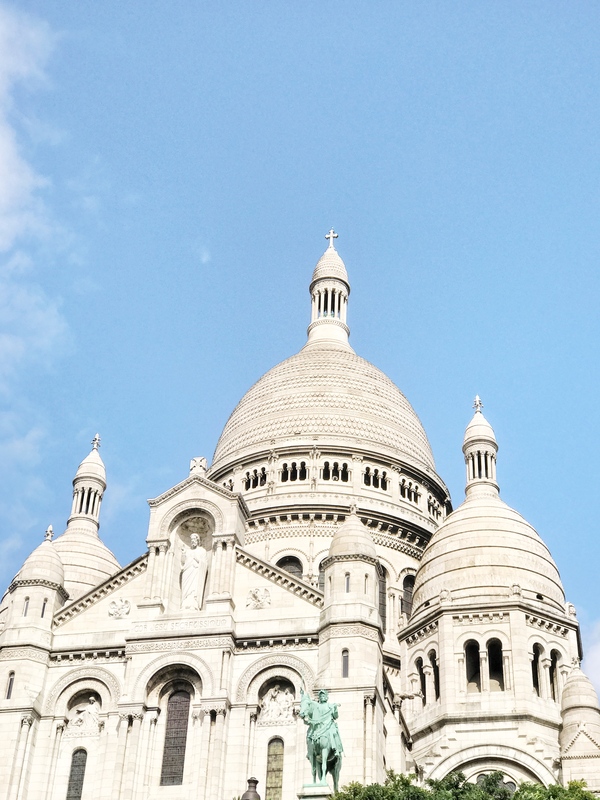 Pay a visit to the stunning Sacre Coeur and get stunning views from the steep hill it’s perched upon. Grab some jamon y fromage street crêpes, see the beautiful art, enjoy live music, and soak in the artsy ambiance and quirky yet very trendy vibes. Go shopping at any number of the local Parisian shops, or go totally hipster and check out some of the record stores for some cool French rap. OK sorry, I realized after I started doing this post that we happened upon a really cool pop-up that was only for two days last September. 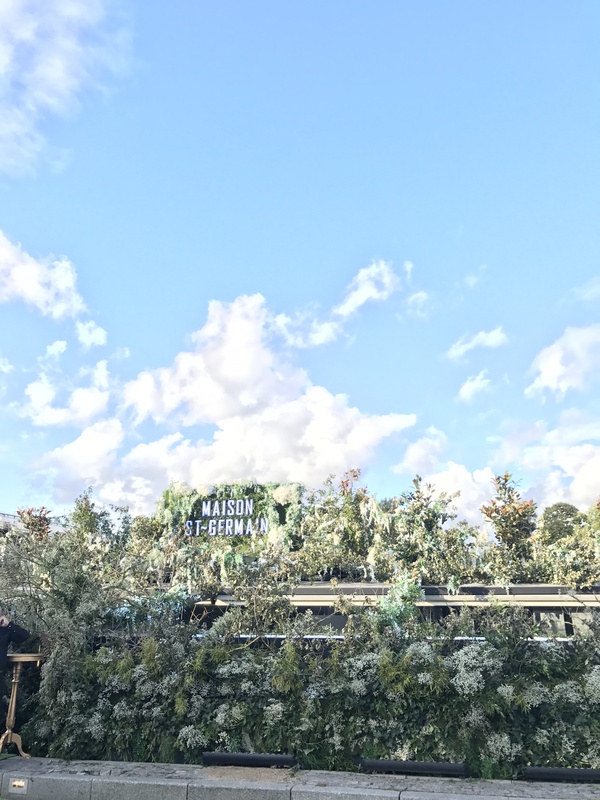 We got a french elderflower cocktail in a boat covered in flowers on the Seine, hosted by St. Germain at this lovely event space called Le Quai, which is like a boat meets brunch spot. I’m really sorry this isn’t happening anymore because I truly wanted you all to experience it. 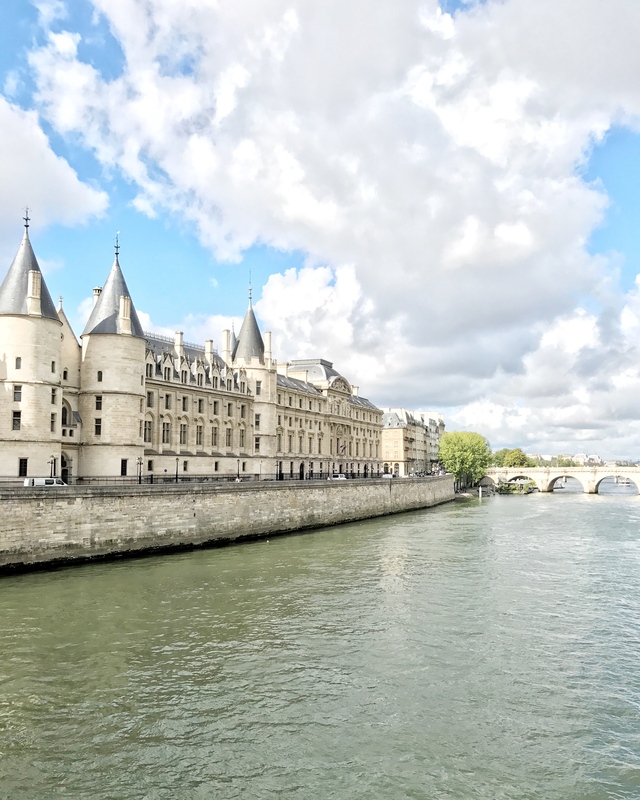 History buffs and bookworks, get ready to swoon This historic site is actually where real-life D’Artagnan stayed, and where Alexandre Dumas afterward came to write The Three Musketeers (loosely basing it off IRL D’Art). 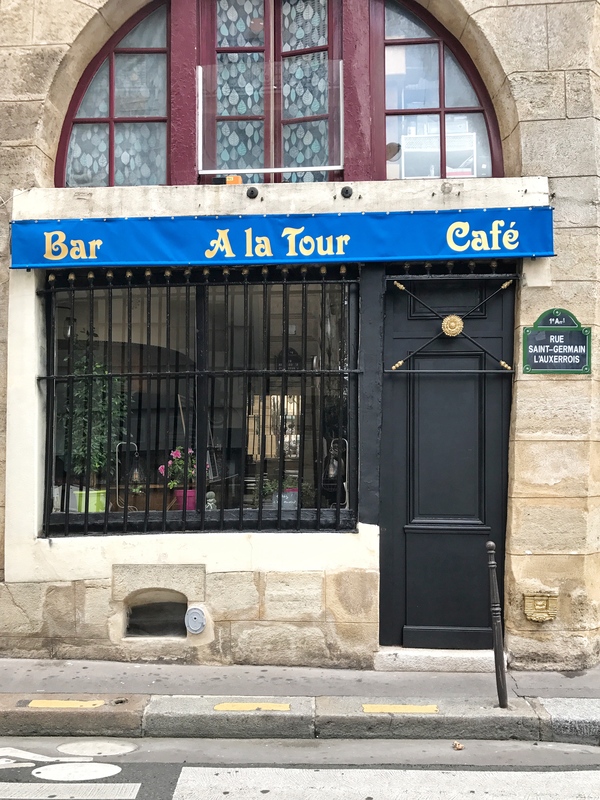 A small, practically unnoticeable plaque says (in French, naturally) on the wall: “Legend has it that Constance de Bonnacieux, mistress of D’Artagnan, offered him this inn with his own nest-egg … “La Tour” [name of the bar] became the stronghold of the Musketeers. Alexandre Dumas would come to draw his inspiration to write his novel in 1844.” Cool story, right? Not only that, but the owner is super friendly and has an adorable yorkie named Alexandre (how appropriate) and serves up some seriously tasty bar bites like olives, veggies, cheese, etc. This is definitely a locals place — not touristy at all. Stroll through the (former palace) gardens where kings once strode, get some fresh air and sunshine, and then grab that famous (and also royal) hot chocolate and a scrumptious breakfast. 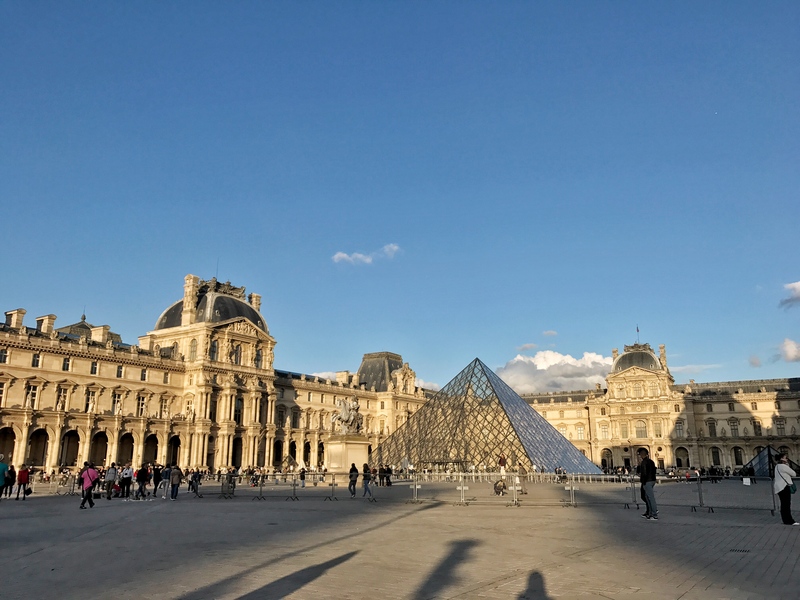 While you’re in the 1e arrondissement, you can check out the Louvre or Place de la Concorde or both! Remember when I said I was obsessed with Paris and Chanel growing up? I was reeeeally obsessed. Wrote my book reports on her biographies. Befriended the Chanel counter manager at my local mall and tried to learn all the secrets. 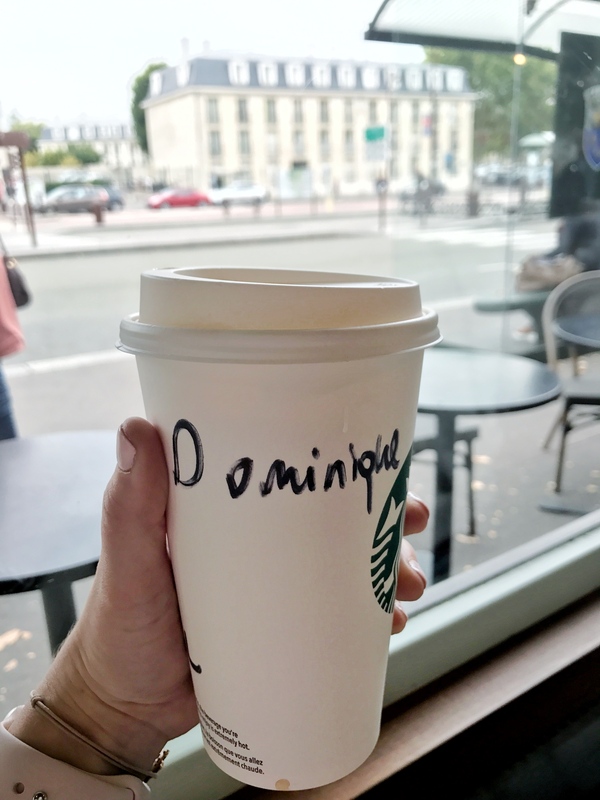 Decided I’d name my daughter Gabrielle (Coco’s actual name). Internet stalked her using dial-up. You get the picture. 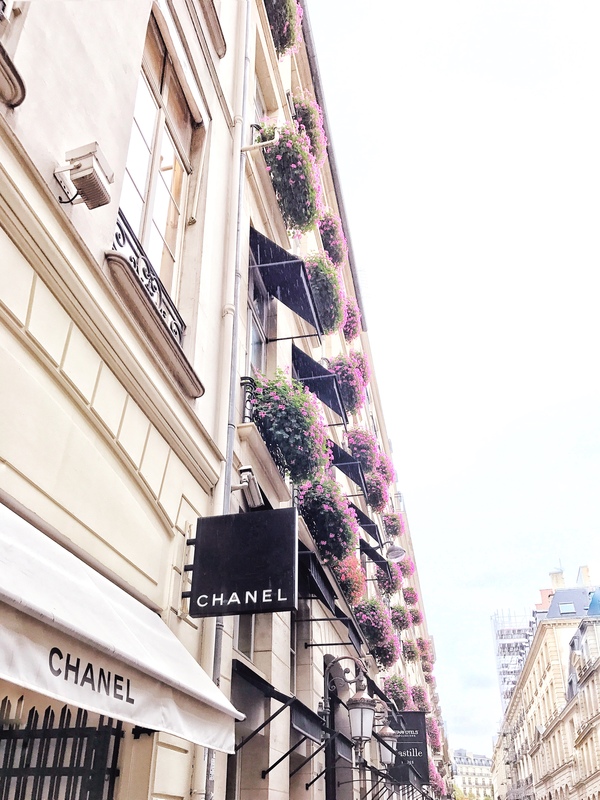 Going to 21 Rue Cambon — the original Chanel Modes store — was like a spiritual pilgrimage. I remember reading about the apartment Coco had above her shop at 31 Rue Cambon (after she bought the building) with ornate, eclectic décor and Chinese printed room dividers. 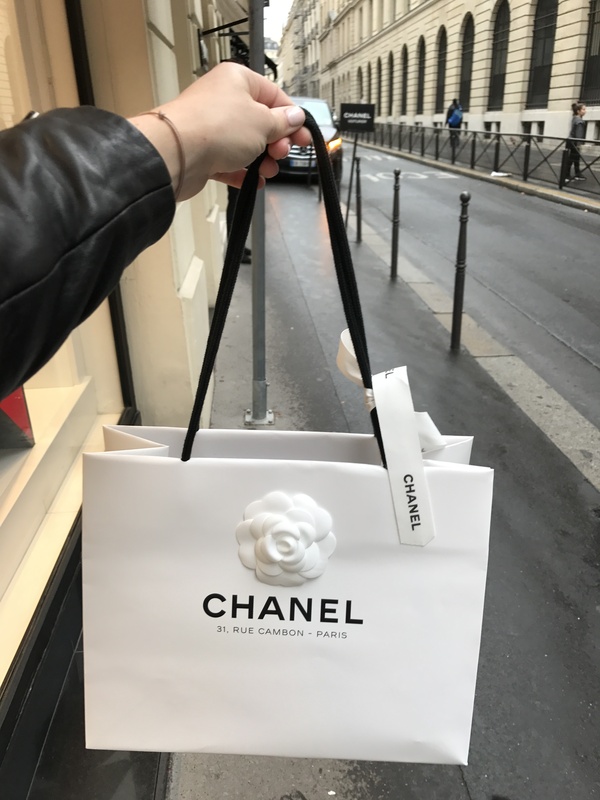 This was my first trip to the Chanel store at 31 Rue Cambon ever, and while a handbag is sadly 10,000% out of my price range, I wanted to bring back a little something to the states. The new fragrance Gabrielle had just been launched in September, and I smelled it there for the first time — I fell in love instantly, and it all felt right. Plus, my favorite souvenirs are scents, ornaments, and Starbucks mugs, so …. it was perfect. Enough about me! If you’re at all into fashion, I’d absolutely recommend paying a visit here. They carry fragrance, beauty products, and of course handbags and ready-to-wear fashion. It’s a Parisian dream, IMO. Plus, the general area has tons of gorgeous shops and restaurants (including yet another Ladurée)! This is so simple, but it’s honestly my favorite Parisian activity. Stroll along the Seine and make your way to Pont Saint-Louis at Île Saint-Louis. On the corner of Quai d’Orléans and PSL, there’s a restaurant called Le Flore en l’Île with red awnings and a Berthillon logo. 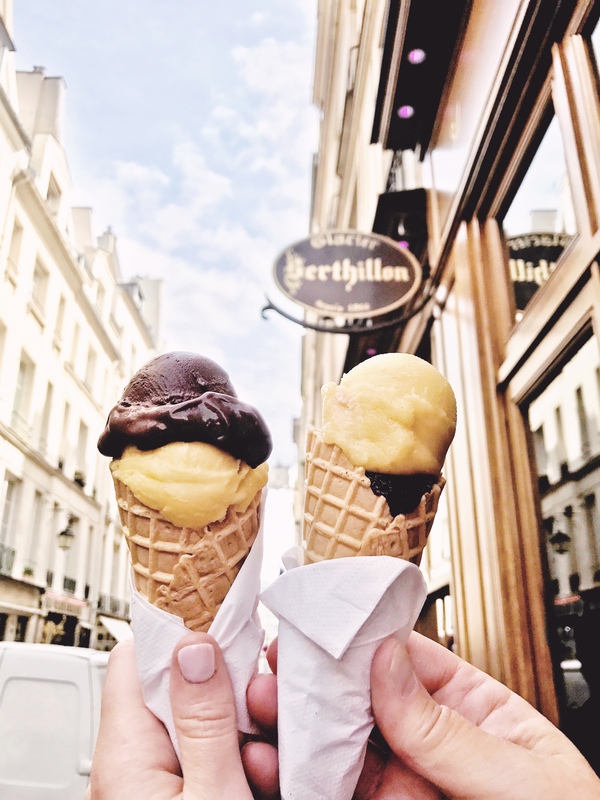 There’s a cart outside where you can order ice cream without dining in the restaurant; grab yourself a few scoops, and go watch the sun set over the Notre Dame while the local artists play accordion music. This is a great way to skip the line (and still get good flavors) if the main Berthillon is busy. Plus, it’s a fantastic spot in the city with a choice view. 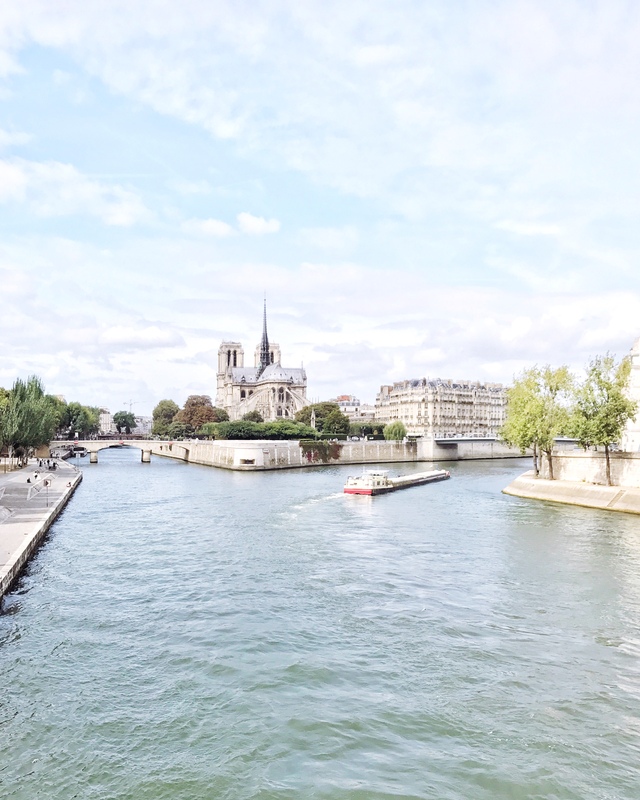 Re: the accordion music… Hearing that music while eating Berthillon and looking at the Notre Dame was my “OMG I’M IN PARIS” moment when I was 18, and I returned nearly a decade later and there was still a dude playing an accordion right outside on the bridge. I looked up the restaurant on TripAdvisor, and sure enough…. well… see for yourself. So listen. Like I plan to do with Vatican City from my Rome post, Versailles ALSO needs its own post. But I’d be remiss to skip it while I’m here. You can get to the Palace via metro… but make sure you take the right line, lol. We um… accidentally got on the wrong train and it accidentally made a very very simple trip very very complicated. If you have a metro pass, it’s very affordable and practical to take the metro and there’s a direct line there. Go as early as humanly possible to avoid lines, and plan for a whole day so you can spend time in Marie’s gardens and her own private quarters (it’s a ways back there). Wear comfortable shoes! Also fun fact — there’s an Angelina there! Both a restaurant and a snack cart, actually. You can take the drinking chocolate concentrate home with you in a glass bottle, or grab a macaron from the cart and eat it in the gardens. So bourgeoisie of you! Don’t lose your head over it! Ha … ha.. ha..! French perfume from Diptyque, Chanel, or another Parisian parfumerie. 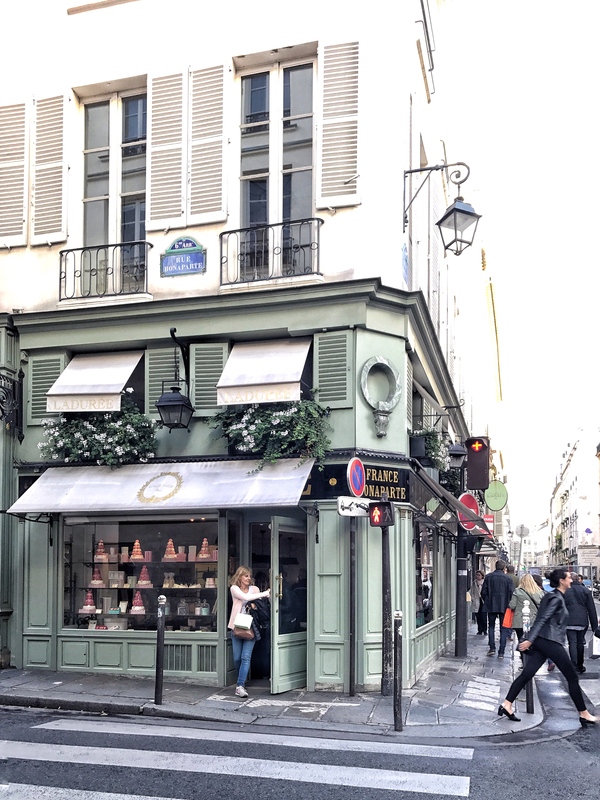 Affordable, high-quality French beauty products at the pharmacie! Avene lip balms and bath products, Embryolisse face creams, Bioderma micellar water, and La Roche Posay SPF are all great, as are the Compagnie de Provence soaps and creams. L’Occitane hand creams are easy to bring back, an awesome gift for friends, and much cheaper in France! Ladurée is obviously a favorite of mine. 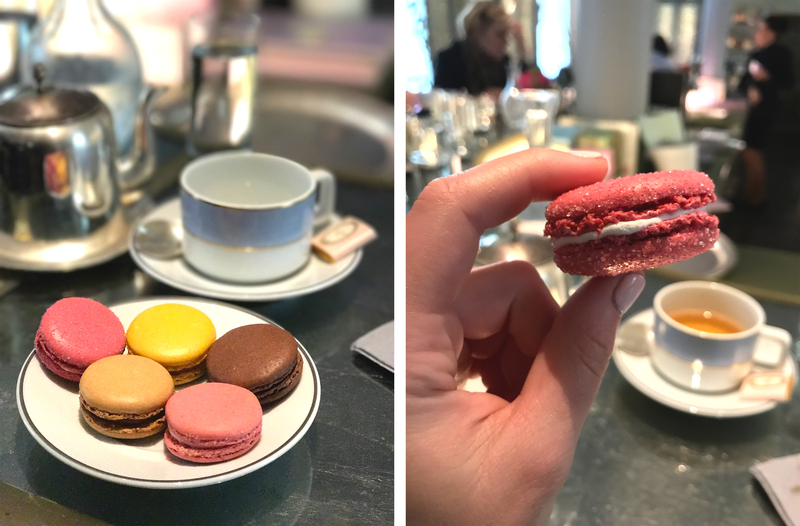 You can bring back macarons if you’re leaving to go home directly from Paris, and those are totally a crowd favorite. Dessert flown in from Paris? Yes please! If you have other legs of your journey, I’d hiiiiighly recommend the tea — delicious and elegant! Here’s the thing — I’ve visited in early spring and late summer, and both times have been quite chilly, so my suggestion is to always bring jacket options. I feel like I underprepared this time. However, I had my trusty leather jacket from Topshop that helped quite a bit. I’m a dress and sneakers kinda gal — I like wearing dresses while traveling since they’re a bit more versatile, but sneakers are super clutch when you’re doing so much walking. My go-to frocks are the sweet little wrap dresses from Lush at Nordstrom (obsessed with this one, too!). They’re almost always under $50 and go on sale all the time. My periwinkle one was somewhere around $20 or $29. Also the Gap! 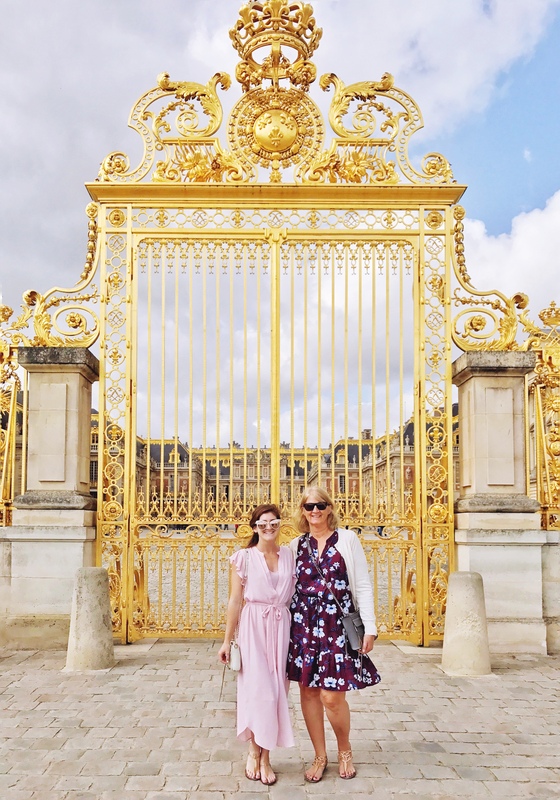 Realizing I could never rival the cool girls in Paris (they make stuff that would look like sloppy garbage on me look so effortlessly chic), I just stuck to the dress/sneaker and skirt/sneaker (sometimes sandal) routine and I feel like it worked for me. When it was colder, I begrudgingly wore pants. If you’re going in the chillier months, you’re going to want to dress much warmer, though! All this info, and I still didn’t even scratch the surface! 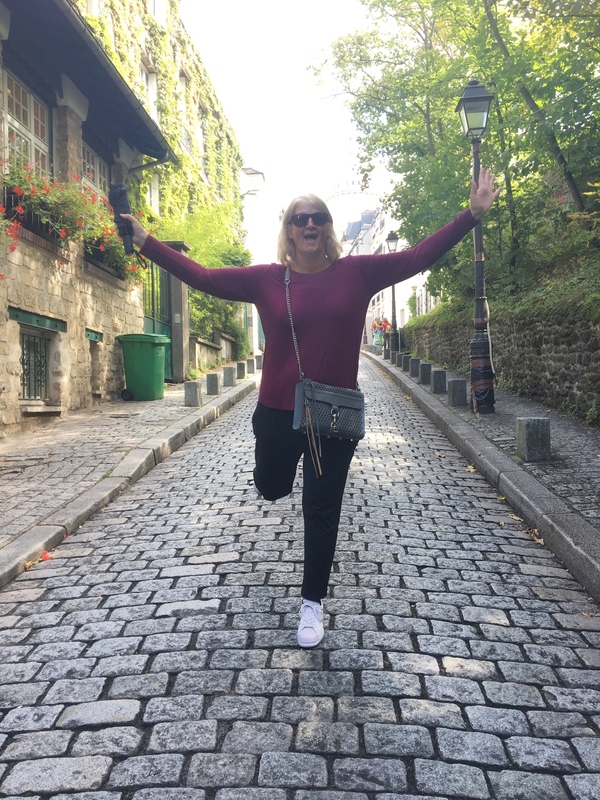 Paris is a true wonder of the world and it will probably take several trips to feel like I’ve seen enough — but that just means I have to go back ;) I feel like there are a million more restaurants to try, historic sights to see, parks to dine in, and treasures to be uncovered. 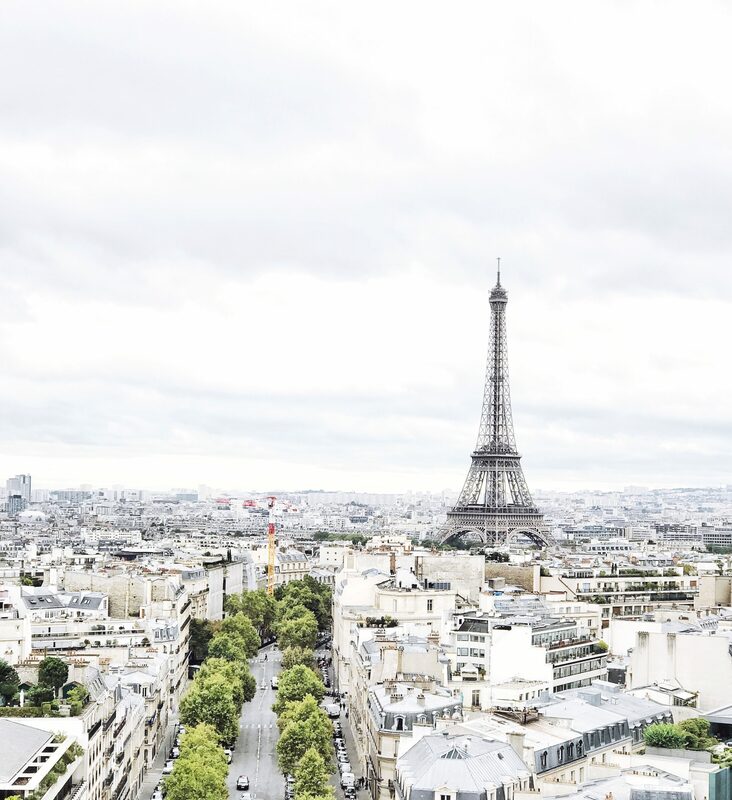 What’s your favorite part of Paris? Are you planning a trip soon? Do you have a favorite souvenir or outfit you like to pack? DITES-MOI!!! !